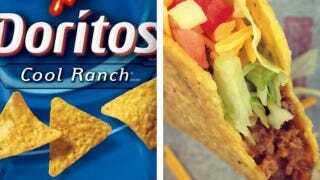 If you want to experience what the apocalypse will taste like in a taco, go to Taco Bell and get the Cool Ranch Doritos Locos Taco today. Originally slated to release on Thursday March 7th, Taco Bell has decided to release the delicious monstrosity a day early. It's available starting today.